We’d love your help. 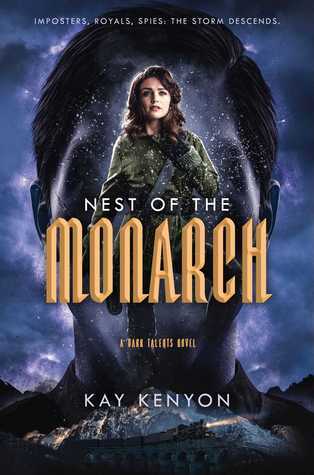 Let us know what’s wrong with this preview of Nest of the Monarch by Kay Kenyon. November, 1936. Kim Tavistock is in Berlin on her first Continental mission for SIS, the British intelligence service. Her cover: Kim Tavistock, undercover in Berlin as the wife of a British diplomat, uncovers a massive conspiracy that could change the course of the war—and she’s the only one in position to stop it in the electrifying conclusion to the Dark Talents series. To ask other readers questions about Nest of the Monarch, please sign up.